TAMPA, FL – Gallery 221 @Hillsborough Community College, Dale Mabry Campus, is pleased to announce its upcoming exhibition, Laine Nixon, May 15 – June 29, 2017. An exhibition reception and talk are planned for Thursday, May 18, 2017, 5-7PM. Laine Nixon is a visual artist based in Sarasota, Florida. She received a Bachelor of Fine Arts in painting from the University of South Florida, Tampa, and a Bachelor of Science in mathematics from the University of Tennessee, Knoxville. Her work has been shown at Ringling Underground, Selby Gallery, and [blank] slate gallery, among other spaces. In 2015, Nixon’s work was selected for Studio Visit Magazine, Vol 29, and was acquired by RBC Wealth Management. Development of her work has been supported by a residency at The Longboat Key Center for the Arts and a Creative Capital Foundation Professional Development Program funded by the Florida Division of Cultural Affairs. 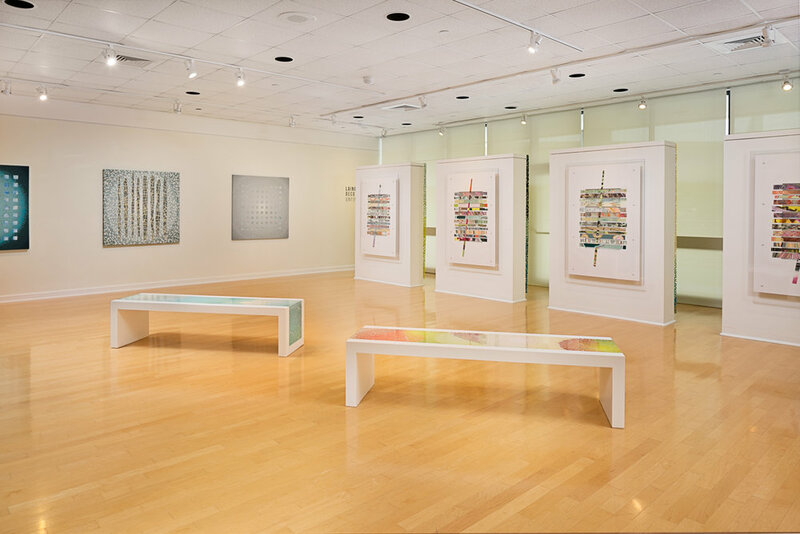 Most recently, she was awarded the 2016/2017 John Ringling Towers Fund individual artist grant which includes a residency at the Hermitage Artist Retreat. Gallery Reception: Thursday, May 18, 2017, 5 -7 p.m.
Gallery Summer Hours: Monday – Wednesday 9a.m. – 4p.m. ; Thursday 9a.m. – 7p.m. Painting the Domestic Interior for fun! Try your skills at painting the rooms around you, those spots that are inspiring. Working from a simple “set up” in the studio, we will sketch a preliminary drawing, redraw it on canvas and then begin the process of creating the atmosphere that looks like an intimate interior. This will be a step by step process. Bring a camera if you like. You will need a simple traditional palette of colors, a small 9″x12″ canvas, a small sketchbook, a soft pencil, whatever you have, a selection of brushes, odorless mineral spirits, paper towels, an easel, waste bag whatever you use. I will have viewfinders and all the info you need to begin this exciting journey. We will be working on location to experience Plein air painting from a starting point and try to complete a finished painting during the time allowed. We will tone our canvas, sketch in the scene and by doing a simple process complete the whole painting in one simple experience. It will not be a complicated process but one that will simplify the steps for you. This is about working with oils to create a landscape that you can finish quickly and yet retain the experience for the future. You can do this to be on your way, a jumpstart for you. Beginners are welcome! 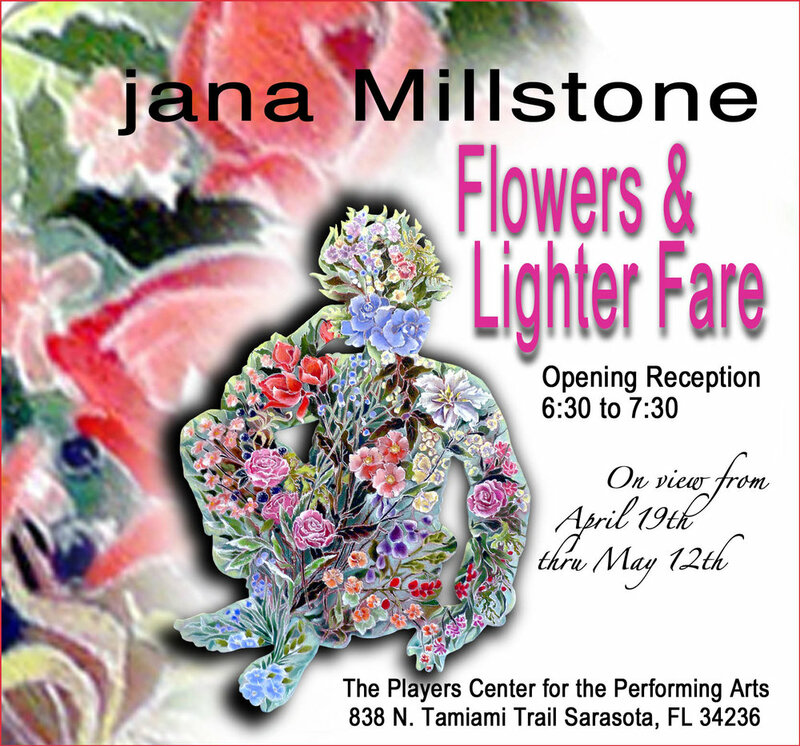 Jana Millstone's work of Flowers and Lighter Fare is on view at the Players Center for the Performing Arts in the side gallery. Please come and join her and two other artists, Jane Fidalgo and Marie Garafano for the opening reception this Wednesday evening from 6:30 to 7: 30. For those of you who can't make it Wednesday, the show will be on view until May 12th.